I just want to give some recognition to all the male nurses in the nursing profession. I remember back when I was in nursing school (mid 1990’s); there was only one male student in the entire nursing department. I wondered if he found anything difficult about being the only male student in an all-female academic setting, including all female faculty. As tactfully as I could, I asked him how he was doing in the program and I would be happy to help if he needed anything. He had a very calm but self-assured response, saying that he had been hospitalized in the past and that’s how he became interested in the profession. He said he got a little ridicule from different people occasionally, mostly his own family and friends, but going to school to be a nurse was what he really wanted to do and he was willing to take some criticism for it. 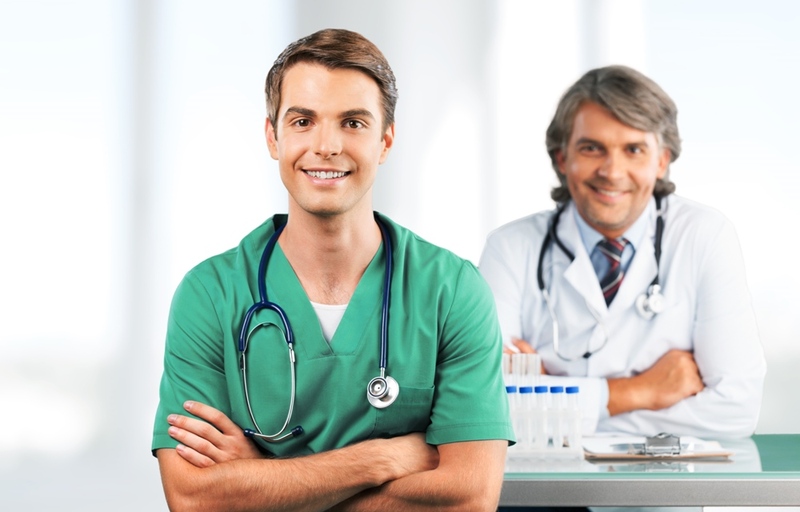 Over the years I’ve noticed that the male nurses I’ve worked with, even nurse’s aides, always do a great job and seem to have exceptionally great task and time management skills. My first job as an RN was in a rehab/LTC facility and I was fortunate enough to have my orientation with the only male nurse there. I quickly realized how busy and chaotic the units could suddenly become. He had the best advice that I have never forgotten and even passed it along to all the new nurses that I myself later oriented. He said, “I always work at the same pace, all the time. It doesn’t matter how busy or slow the shift is or whether I have three patients or thirty. I constantly prioritize and take care of the most important things first, that way when something comes up suddenly, I don’t need to get stressed about it because I already have the most important work done.” It seems so simple and obvious but somehow the way he put it really made it stick in my mind. Also notable are male nurse practitioners. The ones I have worked with, either professionally or from the side of being a patient or family member, have such a great way of admirably getting their job done so quickly and efficiently. One NP works in a cardiac surgeon’s office and seems to not only keep the entire office running smoothly, but also has a comforting way of educating and speaking to patients and families about what to expect with an upcoming cardiac surgery. The other NP covers a large group of assisted living facilities and is always very prompt in responding back to the nurse’s requests for new orders, so that the residents can remain healthy in their homes as long as possible. Lastly to note are our treasured nurse’s aides! Some that I have worked with were so professional that at first I thought they were RN’s. Others have chosen to become nurse’s aides as a second career after suffering from a work-related injury as a construction worker that prevented them from continuing in that job. This may seem like an unlikely transition, but they often have lots of extra strength over the female aides to move patients who are non-mobile, even though the role as an aide is considered “light duty” compared to working in construction. Interestingly, they bring many of the same valuable skill sets from construction to assistant nursing, such as organization, communication and good body mechanics for moving patients. So a big thank you, to all male nurses who do a great job and bring a lot of professionalism to nursing. I think that the way men are naturally good at “just getting the job done” makes them a good match for nursing. Fortunately there is less social pressure now for both men and women to stay in what used to be considered traditional roles. I wonder how many former female nurse’s aides have decided to try something different and gone into construction work? Thanks for the great shout out for males in health care. Since I’ve been hospitalized well over a month I’ve had plenty of time to observe, and my male caregivers have been the most attentive. During a recent episode, my male p.t. was the only one to take my hand and make eye contact and offer comfort. He had been an electrician in NY, his dad was a fireman and severely hurt on the job, and watching him recover prompted my p.t. to change his profession….which was a great benefit to me! Love what you do and you’ll be good at it! Thanks for the reminder Heatheranne.